This latest attention to Walt Whitman arises because of the discovery (by Kenneth Price of the University of Nebraska) in the National Archive of around 3000 of the papers with which Whitman worked as a Federal employee. These papers are a window in the the matters that Whitman was involved with at the time that he wrote some of his most enduring poems. If you’re a fan of Walt (as I am) you’ll find this interesting stuff. If that level of detail doesn’t seem attractive, then you might still want to know more about the man and his work. The first place to go is the Walt Whitman Archive. They can probably tell you as much as you might want to know, and also provide all of his works. 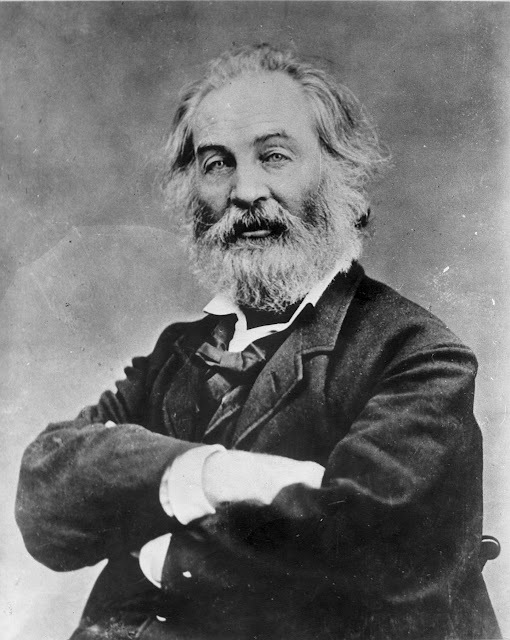 And, if you have an electronic book, the works of Walt Whitman are available (for free) in a variety of formats at Project Gutenberg. Below is a three-minute video from the National Archives about the newly found papers.